We spend so much time reading up on the latest and greatest in the world of transportation and logistics that we want to give back by honoring the absolute best blogs in the industry. There are thousands of blogs in the world of transportation, trucking, temperature controlled freight and logistics. We’ve whittled our exclusive list down to the 50 that truly raise the bar. It doesn’t matter if you work in the field and want to learn and improve—or you simply want to learn about the transportation industry. This list of industry-leading resources gives you everything you need to improve your business, learn about current events and innovations in the world of transportation, and become an expert. First and foremost, every blog on our list is a top blog in the world of transportation and logistics. However, we’ve decided to make it easier for you by creating categories to show the areas in which the blogs truly excel. Feel free to look at the list as a whole or jump to the section that interests you or your business the most! 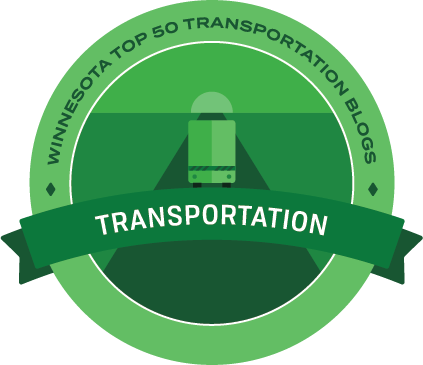 Below you will find the best blogs in the Transportation industry. All of these resources provide an expert knowledge base, word class news and creative insights on the world of Commercial Transportation and its future. Cerasis is an absolute juggernaut in the world of transportation and logistics. The Cerasis blog mixes short informational posts with long, comprehensive whitepapers that provide users with everything they need to know. They are leading the charge when it comes to shedding light on innovations in transportation and logistics, but also cover topics like warehousing, temperature controlled freight and manufacturing. Transport Topics is an excellent overall resource for companies and individuals operating within the transportation and freight industry. The blog includes great information on prominent companies in the space but also explores innovations, recent regulations and driver satisfaction. Transport Topics also has revenue data for top logistics companies and freight carriers. Truckers News is a unique, high quality resource for current and aspiring drivers. It includes great information on the best companies to work for, updates of note within the industry, and excellent tips for drivers who are on the road. It’s a great mix of quality news and fun content. If you’re a driver, use this site to stay on top of what’s going on in the industry. If you’re a transportation company, use the site to get a sense of the pulse of the trucking community. Overdrive is known as a magazine, but their blog is nothing short of brilliant. With authors who are all industry experts, Overdrive’s blog provides resources for drivers and carriers alike, not to mention, top-notch industry news. The blog is updated daily and even features weekly podcasts which are definitely worth a listen. More Than Shipping is also a multifaceted news resource, focusing on transportation and logistics technological innovation and informational pieces regarding the shipping of international cargo. The blog has authors from around the world, so it offers a very international perspective to shipping, supply chain and logistics. Shipping and Freight Resource, a blog authored by industry expert Hariesh Manaadiar, is different from many of our other award winners because it’s primary focus is on education. The blog is an extremely high quality resource aimed at educating newcomers to the shipping, freight and logistics industry, improving the knowledge base of people operating within the industry, and providing insights and advice related to the field. Truck News is a Canadian blog compiles content from a variety of authors with years of trucking industry experience. Its content ranges from new to experienced drivers, as well as sales representatives and managers. It’s updated with fresh content at least once a week, so there are plenty of great resources to keep you coming back. Freight Hub is a German freight forwarding company with a global reach. It’s blog is a refreshing assortment of internationally relevant content, ranging from discussions on regulation to case studies and exploration of new transportation and logistics technology. It’s a great resource for international shippers, but is equally helpful to understand the global climate around shipping, transportation and logistics. DAT’s blog is one of the most comprehensive resources in the trucking and freight industry. It provides general industry and broker news as well as information on industry trends, trucking regulations and freight rates. Not to mention, all of the posts are written by an impressive array of industry experts. TMW’s Blog specifically focuses on the applications of innovative technology to the world of transportation, trucking and logistics. TMW does an excellent job discussing blockchain technology and its implications for the future of the industry. Intelligent Transport discusses topics in public transportation as well as commercial transportation. The combination of these two types of content is what makes it a very compelling blog. From expert interviews to last mile logistics and environmental issues, this blog has quality content for anyone interested in the transportation industry as a whole. Fleet Owner is a blog for commercial transportation companies and drivers. It provides fleet management advice, education on current events, and explanations of new technologies that have the potential to revolutionize the trucking world. From a data quality and comprehensiveness standpoint, there’s nothing out there quite like the IBM Travel and Transportation Industry Blog. It’s not all about commercial transportation and logistics, but the articles that are go into detail on blockchain technology and the Internet of Things, as well as important topics like regulation in the commercial transportation industry and advice for shippers. A must read. Women in Trucking offers a unique female perspective to the world of trucking and transportation. It is an online community that stimulates great conversation on common industry topics, but it also provides excellent information on current events and educational content. Bulk Transporter offers a more general approach to discussing topics in the world of transportation. The blog covers areas like fleet management, government regulation and technology, but also dives into topics like green energy, fuel prices and safety. This is an excellent resource for quality content that spans the transportation industry as a whole. American Trucker is a central resource for drivers and fleet managers. It provides helpful resources for truckers, consistent news and regulation updates and even equipment listings. American Trucker also produces a monthly magazine which is also available in a digital edition. Commercial Carrier Journal has not only an excellent blog, but also a very high-quality and informative newsletter. Most of CCJ’s blog posts are in some way related to trucking and commercial transportation, but they also cover relevant parallel topics such as infrastructure, big data and compliance, providing a more complete picture of current events in the industry. Green Fleet Magazine’s blog area is unique in that it features four different blogs, all written by industry experts, and covering different subjects. From driving tips to market trends and business advice for transportation logistics companies, Green Fleet provides a green perspective on important industry topics. Next Generation Transportation (NGT) boasts exceptional content centered around alternative fuel and transportation. NGT’s blog serves primarily as a news source for all updates and important developments in the world of alternative energy as it pertains to transportation, and also discusses regulation and legislation surrounding the important topics in that sphere. Fueloyal is an excellent resource for information on delivery and GPS tracking technology. As a company that develops products to maximize the efficiency or trucks, Fueloyal has some wonderful insights into recent technological developments and their applications. This blog is great for fleet managers or anyone seeking out resources on trucking technology. Rig Hauler consistently provides excellent updates in many areas of the trucking industry. From regulatory affairs to technology and general news, it’s the perfect resource for drivers, shippers and fleet managers alike. Prime Mover is an Australian magazine that also boasts a great blog. The blog spans multiple categories, from industry news to driver safety. All articles are written by long-time industry experts who offer informed insights on global transportation news. We've compiled a list of the greatest resources in the world of Logistics and Supply Chain. These top Logistics blogs are forward-thinking and teeming with expertise. 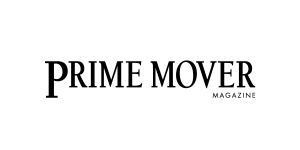 Logistics Viewpoints isn’t simply a logistics blog, it’s a thought leader in the space. From content on third party logistics to weekly news from the world of logistics, this blog covers everything there is to know in the industry. With topics like “IoT and Fulfillment for the Customer Experience” mixed with more traditional information about logistics, Logistics Viewpoints is a multifaceted resource worth soaking in. If you’re looking for quick-hit news, written by leading logistics industry experts, look no further than Logistics Management. The blog is chock full of insights based on latest technological innovations, industry updates and helpful whitepapers. Not to mention, it’s often updated multiple times a day so you can keep coming back for more. We use Logistics Management as a resource to help us stay on top of what’s going on in the industry. 3PL Wire is a more specialized blog, best suited for shippers currently using third party logistics providers as well as third party logistics companies themselves. Being a niche blog, it provides fantastic, detailed information, news and advice on the industry. With company spotlights and numerous education pieces, 3PL Wire is a phenomenal resource for companies that want to learn, grow and improve—or those who just want to stay on top of current events! The Loadstar is a UK based resource for phenomenal logistics content. It differentiates its content between bite-sized news and opinion pieces and what it calls LongReads, which are more comprehensive, downloadable long-form pieces. Overall, The Loadstar provides excellent content on an original array of topics in the logistics and transportation space. Supply Chain Dive has one of the most comprehensive industry blogs out there, covering areas like regulation, freight, logistics, operations, and technology. 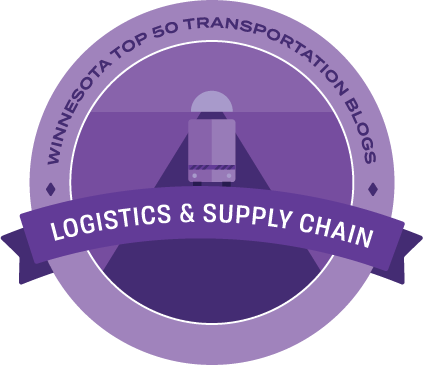 As one of the industry’s top blogs, it does not focus exclusively on commercial transportation and logistics. Instead, it offers high quality content for both consumers and commercial entities with a global perspective. The Logistics Of Logistics blog provides extremely valuable insights on the entire industry spectrum, from 3PL to transportation and warehousing. The blog is valuable for shippers as well as logistics and transportation companies, adding a sales and marketing-centric spin on common industry topics. IWLA is a membership-based association that serves warehouse logistics organizations. The IWLA news page provides unique information and a quality knowledge base in the field of warehousing and logistics. In addition to news and current events, readers can find opinion pieces on IWLA’s blog. LogisticsMatter is an excellent current events and news source for global supply chain and logistics. It is also a force to be reckoned with when it comes to discussions on fascinating innovation and technology in logistics. From this standpoint, the blog is a great read for industry experts as well as people outside the industry who want to learn about the sweeping implications of new technology. Supply Chain Brain has great information and insights on so much more than logistics and the supply chain, exploring topics in transportation, warehousing, technology and retail. The blog is bolstered by whitepapers, podcasts and videos, which serve as additional ways to consume the excellent content on the site. Inbound Logistics provides expert commentary on common issues and popular topics in the supply chain and logistics space. While Inbound Logistics’ content quality caters to businesses in the space that are aiming to improve and stay informed, it is also interesting for newcomers to the industry who are interested in learning more about logistics. The Internet of Things Institute adds a unique spin to important topics in the logistics industry. It primarily focuses on applications of the Internet of Things, as well as Blockchain technology to the logistics industry. 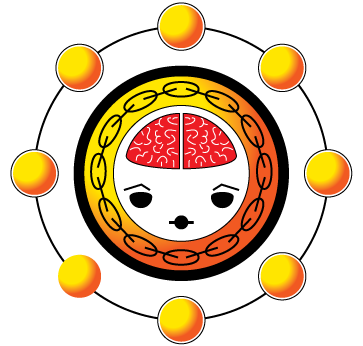 This is a fascinating, futuristic blog that opens the mind to a world of possibilities. 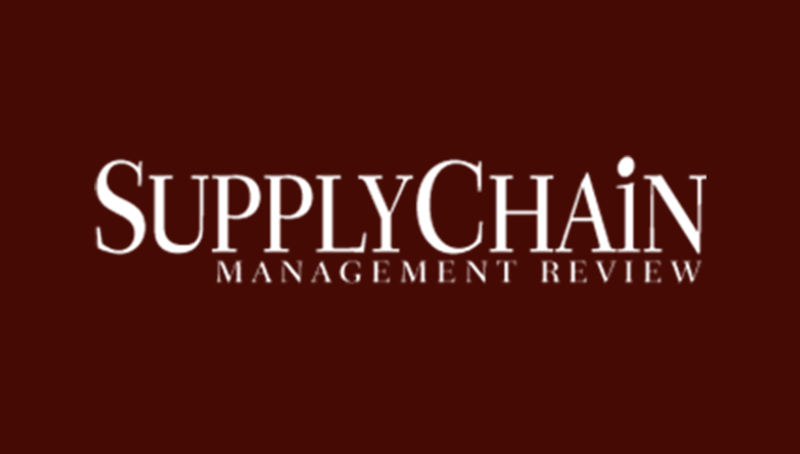 Supply Chain Management Review is first and foremost and excellent news source. The blog does a great job reporting on recent developments in logistics and policy debates. The website also houses a page filled with useful whitepapers aimed at helping companies in the logistics space grow and improve. Lora Cecere’s Supply Chain Shaman dives into multiple topics in the world of logistics. The blog discusses emerging technologies and their applications, general best practices, and valuable insights coming out of years of supply chain and logistics experience. DC Velocity is a multifaceted blog that features content written by long-time industry experts. The blog is divided into 16 different categories under the umbrella of logistics, each written by an expert in that particular field. From logistics best practices to logistics problem solving, DC Velocity has great content for everyone operating in the world of logistics. Talking Logistics is an absolute information powerhouse. With topics ranging from artificial intelligence applications in the supply chain to food transportation, industry expert Adrian Gonzalez’s blog is a force to be reckoned with. The blog also provides weekly news roundups, which are a massive time-saver. 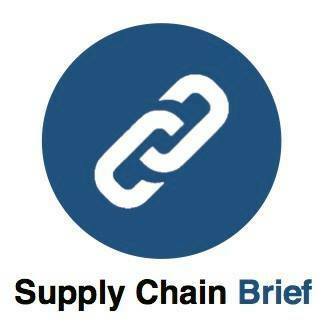 Supply Chain Brief tackles many topics within the logistics sphere, and particularly shines in its content related to third party logistics. The blog includes content on the state of the 3PL industry while providing 3PL providers with ways to improve their business. 3PL Central is one of the foremost authorities on third party logistics practices and news. It is an excellent resource for 3PL companies to improve. In addition to a blog full of useful content, 3PL Central also has available comprehensive whitepapers and webinars. Kenco’s blog is uniquely impressive because it not only provides relevant news and updates on the world of logistics, but it also helps users implement new processes and build a deeper knowledge base. This is due in large part to Kenco’s comprehensive content that goes much further than providing small tidbits of industry information. CAI International does a phenomenal job covering many major topics in the world of logistics. Moreover, the posts are written as resources for companies in the industry to improve their efficiency, level of service and general supply chain knowledge base. Eye for Transport combines expert opinion pieces with longer, more detailed research studies on the supply chain, logistics and transportation. EFT is an excellent advanced resource for companies in the logistics and transportation industry seeking to learn about current market trends and improve their business. The field of Refrigerated Transportation and Cold Chain Logistics is bustling as the industry continues to grow and evolve. Below you will find the best sources of Cold Chain knowledge and news. 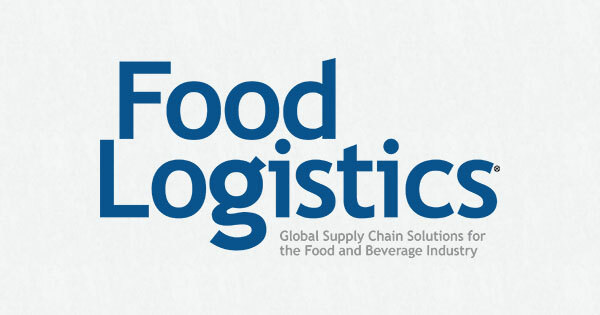 Food Logistics is an industry-leading blog across all topics in the logistics sphere. However, the blog particularly shines in its Cold Chain section, where it explores the latest technological innovations, regulatory measures, and general news related to temperature controlled freight. The blog also includes a Sponsored Research section, which dives into topics like Food Safety and Cold Chain Integrity. The Cold Chain Technologies blog is the ideal resource for learning about equipment and techniques that preserve temperature controlled substances. A manufacturer of refrigerants, insulated containers and temperature monitoring devices, Cold Chain Technologies has excellent insights on many aspects of the cold chain that deserve the attention of refrigerated transportation companies. X2 Cold Chain is a large logistics network that also boasts an excellent blog. The X2 Cold Chain blog particularly excels at providing relevant news from the world of cold chain logistics as well as a resources section with a great deal of helpful information for transportation and logistics companies. The Global Cold Chain Alliance has multiple blogs, and they are all great. The blogs discuss everything from global implications of the cold chain and humanitarian efforts to government regulation pertinent to companies operating within the space. This is a perfect blog for companies that are already established in the cold chain logistics industry. Delta Trak is a company that develops products to increase the efficiency and tracking effectiveness of temperature controlled products. As such, the blog focuses a great deal on technology, and its applications to temperature controlled transportation and cold chain logistics. The blog is a must read for all companies involved in the cold chain, whether or not they utilize Delta Trak products. Cryoport has an amazing cold chain transportation blog that dives deep into topics like increasing the efficiency of the cold chain, cold chain logistics and specific applications of products designed to improve refrigerated transportation. Cryoport’s products and articles are mainly focused on the shipping of biological and medical products. United World Transportation is the ultimate blog for refrigerated shippers who want to learn tips and strategies for increasing efficiency and improving their level of service. While United World Transportation has a great deal of content directly related to cold chain logistics and refrigerated transportation, it also covers more general topics in commercial transportation and trucking. Refrigerated Transporter is another great general resource in the world of refrigerated transportation and the cold chain. It covers topics like fleet equipment and cold storage while providing up-to-date current events and industry news.